Any Web document that represents UT Tyler or its official units, programs, departments, research facilities or schools is expected to follow the web publishing standards. Any web presence outside the UT Tyler website should use the official UT Tyler logo and approved web color scheme. Outside web presence may not use the UT Tyler template, code, graphics, header, footer or any other part of the UT Tyler website. Use of the UT Tyler template code outside of the UT Tyler CMS is NOT allowed. All portals should be approved by Marketing and Communications. To request graphics for your portal, contact the Web Team and visit the UT Tyler branding guidelines to download the UT Tyler logo kit. Prior to setting up or editing a web portal or outside web presence look and feel, please contact the UT Tyler Web Team. 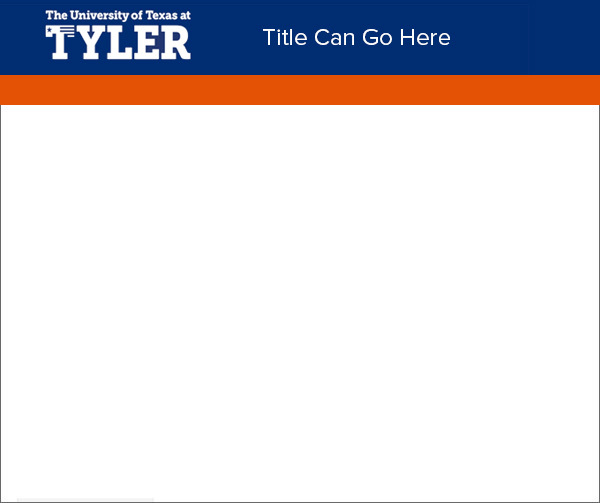 Web presence style should be consistent with the UT Tyler color scheme.